PORT RENFREW, BRITISH COLUMBIA — There are some places so precious that just standing there makes you proud to be a Canadian. Avatar Grove is one of those. But Watt was determined, and his search along the Gordon River here led him through thick undergrowth to massive red cedars and Douglas firs. He found enough giants in the forest in late 2009 to alert Victoria biologist Ken Wu, then with the Western Canada Wilderness Committee. By the time the pair returned in January 2010, trees in the grove already had been flagged for logging. The men immediately founded the Ancient Forest Alliance, drawing such international attention they had 15,000 hits on their Facebook page in only a few days. “We knew it could be gone in a month or so, and then we held a press conference in the forest. We didn’t have any bank account, but we got media attention around the world,” Watt recalls. International students from Korea, Mexico, Japan, and Brazil, all studying at the University of Victoria, joined Canadian naturalists in visiting Avatar Grove, named for the fantasy landscape in James Cameron’s movie, Avatar. 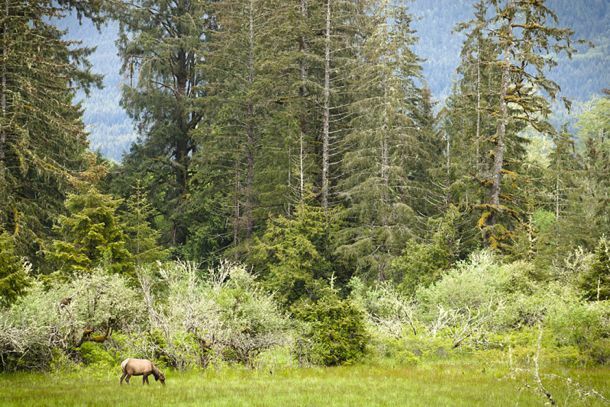 Public pressure mounted for saving the trees, and in February, the BC government declared a 59-hectare chunk of forest off-limits to logging. 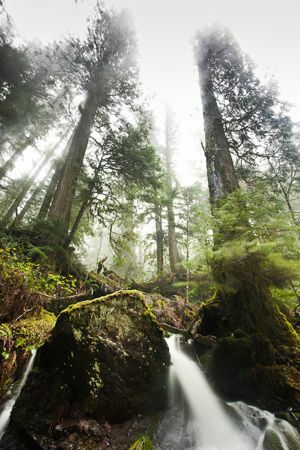 Provincial tourism officials were so excited by new visitors arriving in Port Renfrew, they added Avatar Grove and other tree sites to “natural wonders” along the new Pacific Marine Circle Route. In addition to the spectacular Avatar Grove, the 74-metre-tall “world’s largest Douglas fir” is also in Port Renfrew, along with the 68-metre San Juan Spruce, tallest in Canada and second tallest in the world. Together, these trees have made Port Renfew the “big trees capital of Canada.” Some are are estimated to be close to 1,000 years old. Port Renfrew is known already as one of the best spots to get fresh food, hot shower, and a cosy bed for those starting or leaving the rugged 75-km West Coast trail. (Reservations must be made through Parks Canada. Peak hiking season is mid-June to mid-October.) Port Renfrew is also the terminus for the Juan de Fuca Marine Trail, a 47-km wilderness trek along the southwest coast of Vancouver Island. A couple of visitors a day would ask directions to ancient trees just last year, and now it’s 40 or more a day, she says. Local businesses had to produce more maps to keep up with demand. Brothers Jon and Tim Cash, chefs from Toronto, bought a large oceanfront property and added a luxury lodge with private cabin and three upscale yurts, all with Pacific or San Juan Inlet views. Their Soule Creek Lodge opened in 2001. Guests from the Netherlands, France, and England are drawn by eco-marketing of the “Jewel of the West Coast,” and Cash says he’s now handing out thousands of maps for self-guided tours of the big trees, compared to hundreds just a few years ago. Visitors are drawn not only by the ancient giants, but wildlife, including Roosevelt elk, deer, wolves, bears, and cougars. Pileated woodpeckers, hawks, and bald eagles are common. Hikers can roam the woods for hours without seeing anyone. Some hikes, like Avatar Grove, are more demanding, so the Ancient Forest Alliance assesses hiking difficulty on its website. 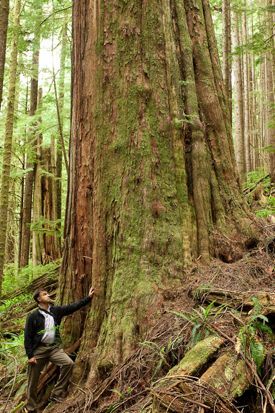 Watt is still searching for more ancient trees, figuring he just found the “eighth-largest Douglas fir in Canada,” estimated at more than three metres in width. Avatar Grove and the other giants here are less than a half-hour from the road. Location. The forest is about a two-hour drive west of Victoria along Highway 14, a paved road that is mostly two lanes. There’s no gas station, so be certain to fill up before heading to Port Renfrew. Where to Stay: There’s camping, RV sites, cabins and two main hotels, Soule Creek Lodge ($145-$215/night, including breakfast; $36 dinner for guests only, BYOB) and Port Renfrew Resorts ($190 and up/night for waterfront, log cabins). Dining Tips: Bison burgers and fish and chips are popular at Coastal Kitchen Cafe, but hardly anyone leaves without a platter-sized, chocolate pecan cookie. They’re $3 and homemade daily. The pub at Port Renfrew Resorts has a pool table and big-screen TVs indoors and an outdoor deck overhanging the San Juan Inlet. It also features aboriginal art and carving throughout the grounds, and historical photos of area fishing and logging. Soule Creek Lodge asks guests each morning about food allergies and preferences, then the chefs prepare a feast with local, seasonal ingredients. Fresh-from-the-dock fish includes sockeye salmon, tuna, and halibut, all wild and caught nearby. More Photos: For more of T.J. Watt’s great photos, visit the Ancient Forest Alliance website and his page on UtopiaPhoto.